An anaesthetist working in a private nursing home in Puducherry has been directed to pay a compensation of Rs 15 lakh for an alleged case of medical negligence. The decision has been taken by the State Consumer Disputes Redressal Commission, Puducherry. The anaesthetist has been directed to pay the amount to the family members of a person who died in 2002. In this particular case, the deceased (patient) Kanniakumar was to undergo a gall bladder stone removal surgery at the nursing home. The operation was to be completed in a one hour time; however, the family was informed that the patient has developed complications because of a cardiac arrest. Later, things became really suspicious to the family, when the cardiologist arrived on the scene, and informed the family that the patient has passed away long time back. 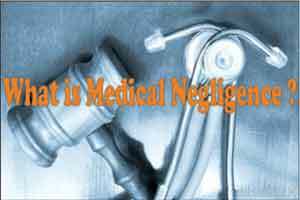 What followed was a complaint filed by the bereaved family members alleging medical negligence by the private nursing home. It was only during the legal proceeding, the anaesthetist was implicated in the case, after conclusive sequence of events was drawn at the time of surgery. The Commission comprising of its president Justice K.Venkataraman, members- K.K.Ritha and S.Tirougnanassambane passed the order on an appeal filed by the bereaved family seeking to order compensation. Kanniakumar was advised by the specialist to undergo surgery to remove stone from the gallbladder. The surgery was fixed on July 27, 2002. At 1.00 p.m, the specialist and the anaesthetist were present at the operation theatre. At 3.00 p.m., the patient’s relatives were informed that the operation would be completed in an hour. After some time, they stated that the operation could not be continued because the patient had complicated cardiac problem. A cardiologist who was called in, declared that the patient had died long back. The relatives of staged a protest and a case was registered. The family members filed a complaint before District Consumer Disputes Redressal Forum, Puducherry for compensation from the nursing home, the specialist and anesthetist. The District Forum dismissed the complaint. Hence, the family members filed an appeal before the commission. Holding that the managing director of private nursing home was not liable to pay any compensation, the commission pointed out that he had only leased out the second floor of complex to the urology clinic. The commission said that the patient had collapsed even before the specialist began his work and therefore he was left off.